Edible Schoolyard NYC’s new garden at P.S./M.S. 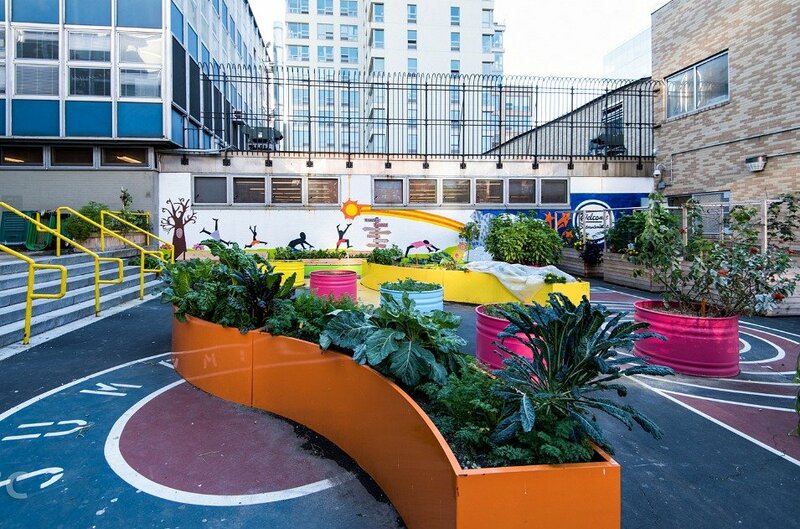 7 in East Harlem includes colorful planters in a variety of shapes, as well as a teaching space and indoor kitchen. See all the photos and plans on Field Condition. And the architects of P.S./M.S. 7’s garden, WORKac, are interviewed today on designboom. Untapped Cities has 12 crazy facts about the Upper West Side’s iconic Ansonia. Did you know this is where the 1919 World Series was rigged? Stephen Von Worley’s new data visualization project colors urban streets based on their cardinal direction. Check it out on Co.Design. Haunted hipsters…the Bowery Boys share four ghost stories of Brooklyn.